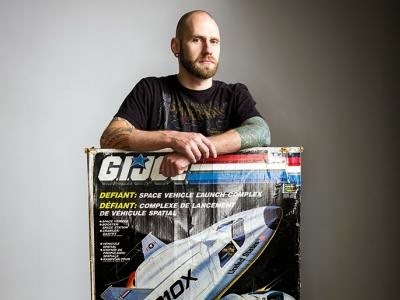 I'm thrilled, and even sort of proud, to see my good friend Shane Turgeon honored by "Avenue Edmonton Magazine" as one of Edmonton's least unimpressive people under the age of 40. Not only is Shane not unimpressive, he's positively one of the most un-lame people I have ever met. In all seriousness, this is a well-deserved honor: Shane has made quite an impact on geek culture, most of it via nothing more than good old-fashioned chutzpa, smarts, and positivity. Even more importantly, he's a great person. If you live in the Edmonton area, be sure to put down your hockey stick for two seconds and pick up the magazine, as I don't believe the complete feature is available online. "Chewbacca Blocked in Effort to Go Home"